Does your pet have behavior problems? We can help! Most pets experience behavior issues at one time or another during their lifetime. These issues can be short term, such as housetraining problems, or more severe including aggression and unruly behavior. Behavior problems can be challenging and frustrating – but we are here to help! 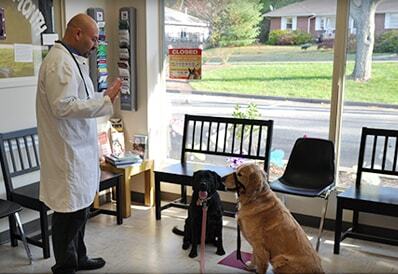 At Tri-County Animal Hospital, our behavior consultations will help your pet manage their behavior issues. We can help you understand and diminish or eliminate your pet’s behavior problems. The first step to changing or controlling these behaviors is to rule out a medical component. For example, if your dog growls when you touch your dog's mouth, the behavior could be caused by an abscessed tooth. If we determine that there is no underlying medical cause for your pet’s behavior, we will help you with positive behavior modification techniques that can resolve your pet’s behavior problem. To learn more about our behavior services or to schedule an appointment for your dog or cat, please call us at (973) 831-2426.